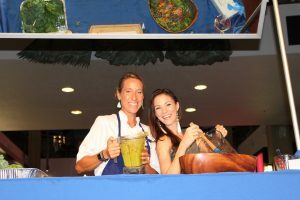 The local community is invited to join the Blue Zones Project® for a cooking demonstration on Friday, Sept. 14 from 6 to 7:30 p.m. at the Queen Ka‘ahumanu Center in Kahului. 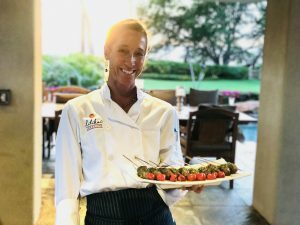 The cooking demonstration is part of a series of events held on the second Friday of every month at Queen Kaahumanu Center’s Center Court and is hosted by Malika Dudley. Brought to Hawai‘i by HMSA, Blue Zones Project® is a grass roots well-being improvement initiative to make healthy choices easier through permanent changes to environment, policy, and social networks. September’s demonstration features Chef Maja Liotta of Lilikoi Creations. Healthful eating is a passion that Liotta has had since her husband was diagnosed with a serious autoimmune disease in 2009. 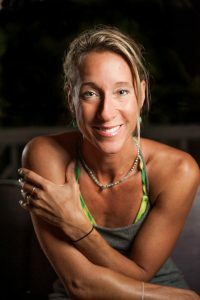 Having found her niche here on Maui as chef/owner of Lilikoi Creations, an exclusive private chef and events company, Liotta enjoys creating beautiful, healthful meals for a many number of clients, including business executives, professional athletes, musicians, TV personalities, international dignitaries but most importantly, her family and friends. Private Chef Maja Liotta of Lilikoi Creations. Courtesy photo. Maja Liotta of Lilikoi Creations. Courtesy photo. Private Chef Maja Liotta with event emcee Malika Dudley. Courtesy photo. Liotta is mother to three lively kids ages 17, 14 and 9. When not cooking professionally, she is also passionate about community outreach, encouraging people to be “brave” cooks: take risks, pair unlikely ingredients and make a mess in the kitchen! She will prepare . Free samples and recipe cards will be available while supplies last. Blue Zones Project® will also be giving away prizes, gift cards, and National Geographic bookazines featuring Blue Zones founder Dan Buettner.